If you’ve got the patience, the dedication, and the resources, you might be the kind of person who takes on the challenges of a self-build project. On average, self-build projects, including land, cost £255,543. Compare this with the average house price in the UK of £169,000, and you might wonder if building a home is worth the trouble. Yet there are many benefits to building your own home. Reduced stamp-duty, for one, as you’ll only pay that on the fees of the land you purchase. And you’ll also be able to design a household that’s perfectly suited to your needs, meaning energy efficient solutions and spaces perfectly catered to your lifestyle. 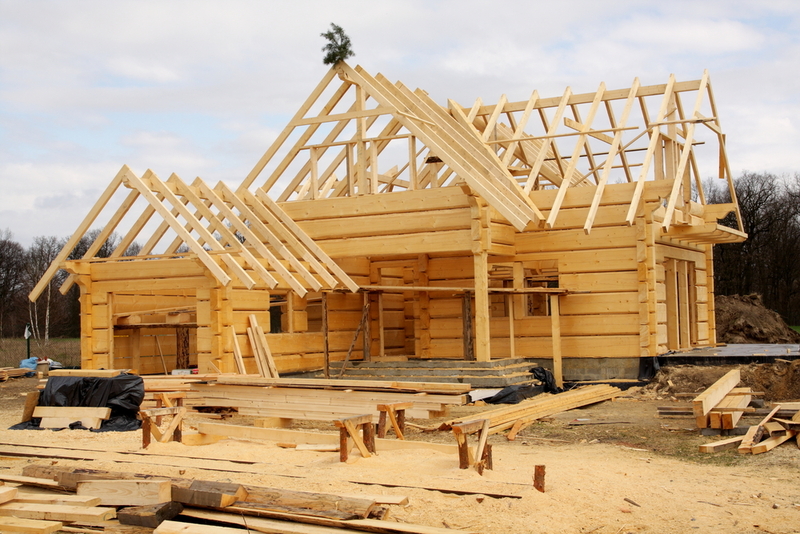 There are a number of factors that will impact the construction of your new home, some obvious, and some not so much. The size of your property is going to be the most obvious factor, but this is completely dependent on where in the UK you’re building your new home. Building even a small home in London and in the South of England is going to be a much more costly venture, than a larger property up North. You’ll also have to think about the design of your new home. The more complex a layout, or exterior, the more you’ll incur in not only construction fees, but materials, and architect costs. A cheaper alternative could be the use of a ‘kit house’. These prefabricated structures allow you to minimise time on site, therefore cutting contractor costs. Professionals are another thing you’ll have to think hard about - how many are you going to need? For how long will you need them for? If you invest in a good architect from the start, they’ll be able to help you budget correctly for all these expenses. Like we said, the number of professionals involved with your build, the bigger your budget will need to be. One of the easiest ways to minimise on costs, is when it comes to construction. There are four main build routes for houses, which are. This is where being good with your hands can really pay off. Doing most of the construction work yourself could help you shave off 30-40% off your total bill. Not only when it comes to the manual labour, but also in terms of purchasing the materials yourself - no middle man. However, DIY should only be undertaken if you’re confident in your skills. Fixing poor craftsmanship down the line could cost you more than the money you saved. Half-DIY and half-professionals. You’ll basically purchase all the materials yourself, while having various tradespeople in for specialist jobs - like plumbing. Anything you can do yourself, you do. You’ll get one main contractor to do the bulk of the work, putting together the framework of the house. After this, you'll then employ a team of subcontractors to finish the project up, while also purchasing the materials yourself. If you don’t have the time to spare, or just want the peace of mind of getting a professional, then you could hire a main contractor to take care of the whole project. This is the more expensive option, as you’ll have to pay for their time spent on admin, plus a fee towards the materials they sourced. Intimidated by this shopping list? Don’t be! At Resi, we offer free consultations on any home project. So if you’re looking to build your first home, and need budgeting advice, book a call with our team now. Looking to buy a new build property? Check out The Problems With Buying a New Build Property... And How to Avoid Them.